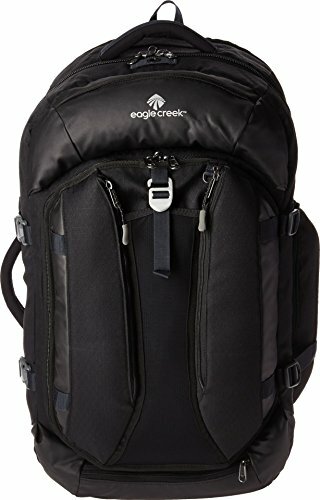 The Eagle Creek® Global Companion Travel Packs 65L will take you from the mountains of Kilimanjaro to the scenic streets of Copenhagen in rugged fashion and secure design. Constructed from 450D Geo Ripstop. Zip closure with self-repairing lockable zippers featuring easy grip zipper pulls are designed to keep working for you trip after trip. Lockable top zippers can be double secured with a small padlock looped through the Central Lock Point.